The idea of Linear workflow (LWF) has been around for quite a long time, as it started out as a discussion among people who were thinking about the mathematics of CG rendering. It wasn’t until a couple of years ago that it became obvious to alot of users that the scenes they have lit and rendered for many years, was set up in a physically incorrect way. Anyone that studies how a computer monitor works and how it outputs images, will realize that something between input and output is being done in order for our eyes to perceive the image the way we see it. This topic can be quite exotic depending on how deep you go, and I will refer you to some links at the bottom if you want to know more. Autodesk now shipping their 2013 product line. 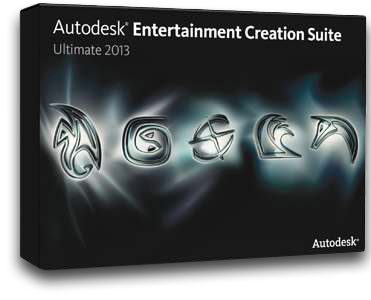 The Autodesk 2013 product line is here. As an Autodesk Maya user, I’ve been hoping for some extraordinary news for the 2013 release. I’ve often found myself feeling slightly handicapped during projects because of crashes or other documented bugs. Especially when working with Mia_Materials, there’s a chance that something will go wrong when you’re trying to build custom shaders using nodes that were originally built for standard materials. Maya 2013 comes with updated, yet only a few new features. So far the information about the release is quite scarce so this post should not be seen in any way as a review. Quick Career Update – Battlefield 4!